St. Barnabas maintains a high quality of worship and music, and the choir plays a central role in offering dignified service to God. 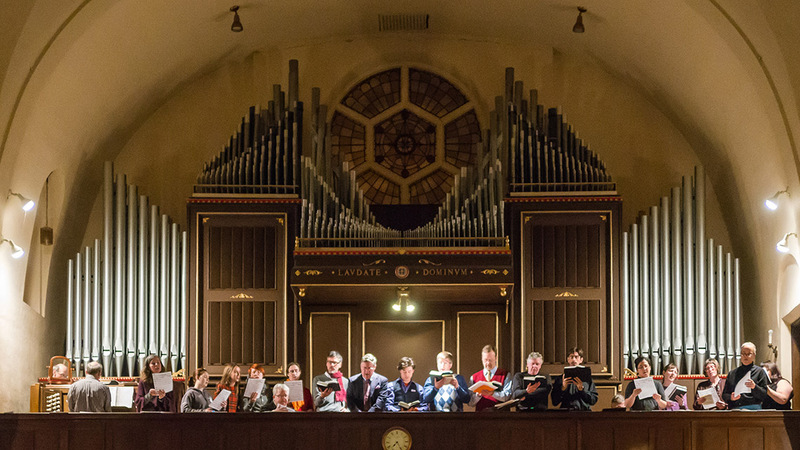 Week after week, the choir, supported by the fine Casavant organ, sings the praise of God from the gallery, which allows for a remarkable musical presence. Under the direction of highly respected organist and choirmaster Wesley R. Warren, the choir presents a diverse range of sacred music. Within the Anglo-Catholic tradition of plainsong (normally sung in English, but occasionally in Latin), the choir's repertoire continues to represent a wide cross-section of traditional music from Renaissance polyphony (mass and motet settings by Palestrina, Victoria, Monteverdi, Byrd, Tallis, di Lasso, et al.) to contemporary compositions (Willan, Howells, Bissell, Daley, Gjeilo, Ešenvalds, and Warren, among others).